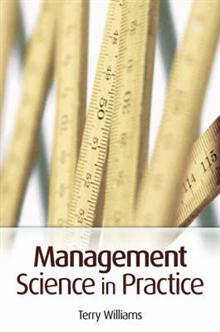 Defines the field of Management Science, lays the foundations and gives an overview of the history. This work describes the analysis toolbox used by the MS professional and contains topics such as Multi-Methodology, problem structuring techniques and analysis techniques. It looks... read full description below. The Operational Research/Management Science profession is growing in strength worldwide. Management Science in Practice contains four similarly sized parts. 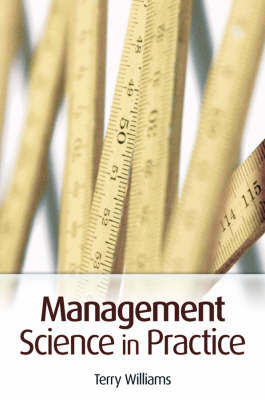 Part 1 defines the field of Management Science, lays the foundations and gives an overview of the history. Part 2 describes the analysis toolbox used by the MS professional and contains topics such as Multi-Methodology, problem structuring techniques and analysis techniques. Part 3 looks at the key practical skills that OR graduates lack. Part 4 gives a brief overview of the current state of the OR profession. It outlines the current knowledge about the reflective practitioner to give guidance to the OR practitioner. It also looks at the ethics in an OR context and the future for the profession.Terry Williams is well known in the OR field and is currently a joint Editor of the Journal of the Operational Research Society . He is a fellow of the Institute of Mathematics and its Applications (IMA), fellow of the OR Society, a chartered Mathematician and a certified Project Management Professional. Terry Williams is Professor of Management at Southampton University. He has over 25 years experience in the Management Science/Operational Research field. He is a frequent conference speaker, and has published widely in many academic and professional journals and books.